Kerry cattle, now a historic rare breed, probably represent the breed recorded as "black cows" in early Plymouth Colony. The Pilgrims did not bring any large livestock animals with them on the Mayflower. In fact, the only animals known with certainty to have come on the Mayflower were two dogs, an English mastiff and an English spaniel, who are mentioned on a couple of occasions in the Pilgrims' journals. 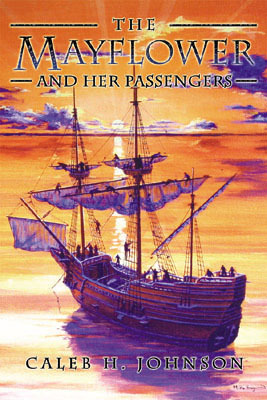 Although not specifically mentioned, it seems likely that they had with them some chickens, because chicken broth was given by Mayflower passenger Edward Winslow to the Wampanoag sachem Massasoit when he was sick in early 1622; and it is also likely they brought some pigs. In 1623, Emmanual Altham visited Plymouth and reported there were six goats, fifty pigs, and many chickens. 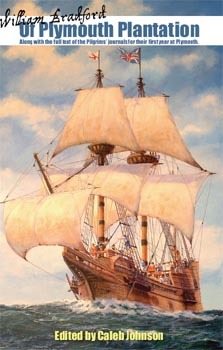 The first cattle arrived at Plymouth on the ship Anne in 1623, and more arrived on the ship Jacob in 1624. Onboard the Anne in 1623 were three cows, nicknamed the "Great Black Cow", the "Lesser Black Cow", and the "Great White-Backed Cow". By 1627, both the "Lesser Black Cow" and the "Great White-backed Cow" had calves. Onboard the Jacob in 1624 were four black heifers (a heifer is a young female cow that has not yet had a calf.) The four black heifers were nicknamed "Least", "Raghorn", "Blind", and "Smooth-Horned". There was also a "Red Cow" that belonged to the poor of the colony, which had a red female calf around 1625, and a male calf in 1627. By May 1627, there were 16 head of cattle and at least 22 goats living in Plymouth. The exact arrival of the first sheep in the colony is uncertain, but in January 1628 the Plymouth Court recorded that Myles Standish purchased from Abraham Pierce two shares of the "Red Cow" in exchange for two lambs. 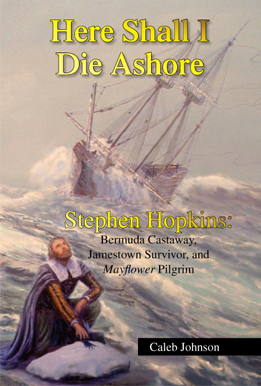 And probate estate inventories for three Mayflower passengers made in 1633 (Samuel Fuller, Francis Eaton, and Peter Browne) show that all three men owned several rams, sheep, and lambs. The first horses and oxen did not begin arriving until the 1630s, most being brought to the Massachusetts Bay Colony to the north. 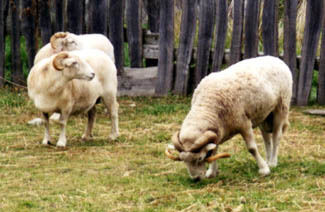 Plymouth colonists Samuel Fuller, Francis Eaton, and Peter Browne (a weaver) are recorded as having owned sheep. Goats began arriving in Plymouth in 1623. Chickens were very common in early Plymouth and quite probably were brought on the Mayflower. The Dorking breed, still around today as a historic breed, actually originates from the home parish of Mayflower passengers William Mullins and Peter Browne.